Send "Day in the Life" picture of your school library to Courtney any day in April to help celebrate School Library Month on our social media pages. Send your or your students' favorite books of the year to share in May. We want YOU to submit a session proposal for the 2018 NLA/NSLA Conference in Lincoln, NE. If you typically have not been able to attend the fall conference because it is during the school week, you are in luck! We will have a Saturday option which will feature the NSLA keynote speaker Michelle Luhtala! General sessions will be on Friday October 5th and Saturday October 6th and can be on any topic you feel passionate about relating to school libraries. Be sure to indicate in the form which days/times work best for you. You DO NOT need to be a member of NLA or NSLA to submit a conference proposal. The form will ask you which organization fits better with your session idea. School library sessions are aligned with NSLA. There are a variety of session types available, but most run about 50 minutes. Not sure about presenting at a professional conference? Here's a few reasons to give it a try. 3) Ask a friend to join you! Planning a presentation is a great excuse to hang out. 4) You may not think you have anything to share that anyone else would want to hear, but I guarantee there is something you do that others could benefit from hearing about it. 5) Still not sold on the idea of presenting but know someone who would be AMAZING at it? Make sure you encourage them to submit a proposal! 6) Lead presenters get to attend conference for FREE!! You get admission to the Friday night Golden Sower Gala (plus dinner) AND free lunch at our business meeting on Saturday! We want this conference to be filled with opportunities for our school library attendees to think, create, share, and grow. Help us do so by submitting a proposal by May 1st! Click here to access the conference website. Then, click on the NSLA Program Proposals link under "Call for Proposals" and click on the NSLA logo on the next page. Want more on the AASL Standards? Check out the offerings AASL has for FREE in their eCollab. There are also quite a few archived events available to view. Just click on the link at the bottom of the box. 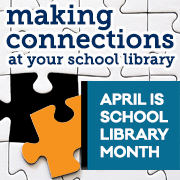 The second week of School Library Month affords all librarians to make connections with educators and make connections as educators. The School Library Month committee has created several activity ideas that you can use during this week. What better way to make connections with educators than with food! Consider hosting an educator breakfast and treat educators to coffee, tea, and delicious pastries, or invite educators to “sample” new books in your library by creating a café environment. Take sweet treats to department meetings, which are a great way to book talk, provide a quick PD or web tutorial about content and showcase library resources. Consider one or all of the activities to make connections at your school. More information and activities can be found on the AASL School Library Month website at www.ala.org/aasl/advocacy/slm. How are you making educator connections at your school library? Be sure to share how you are celebrating School Library Month 2018 by posting comments and pictures on Facebook, Twitter, and Instagram using the hashtags #SLM18 and #AASLslm. Just in case you haven't had a chance to check out EPIC! a fantastic FREE resource, Eileen Heller has put together a fabulous walk through video to give you an idea of how to use it! • Open to teachers and librarians in the US only. • One video entry per person. • Each entry must include a completed and signed submission form. • Entry must be in a valid video format (AVI, FLV, WMV, MP4, M4V, or MOV) and cannot exceed 3 minutes. File size cannot exceed 10 GB. 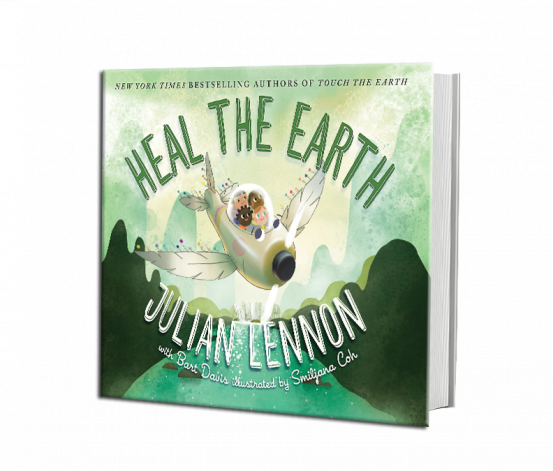 • Entry must include the cover of the book and have a positive message of how we should treat our natural resources. One idea: Tell us what projects or activities you and your class will be doing to celebrate Earth Day. Be creative! • All submissions must be received by midnight EST on Monday, April 30. 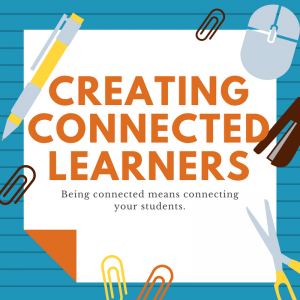 Being a #ConnectedEducator is vital in today’s fast-paced, social media world. We have taken a look at what it means to be a connected educator, creating a stellar profile, defining your brand, and followingpeople, hashtags, and companies.